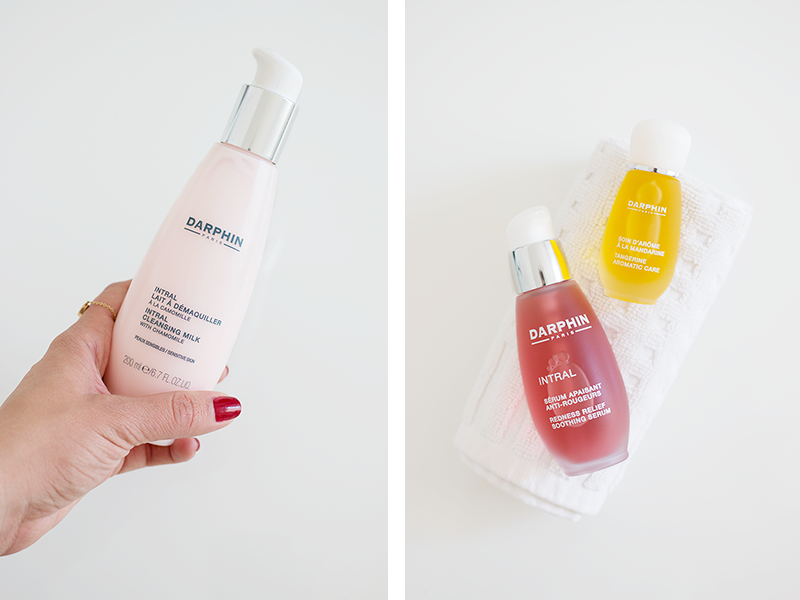 Have you guys tried anything from the Darphin Paris range? I'm obsessed. I had tried one of their moisturizers about a year ago and fell in love, and now that they carry the range at Sephora, well, you better believe I'm all over it. Here's what I've been loving lately. INTRAL CLEANSING MILK // If you have sensitive skin, this is definitely one to consider. It's formulated with 84 per cent natural ingredients— including chamomile— and it cleanses deeply without irritating the skin whatsoever. The thing I love most about it is how soft my skin feels after using it, and the smell is incredible. Totally worth a try if you're a fan of cleansing milks! INTRAL REDNESS RELIEF SOOTHING SERUM // I have a tendency towards red skin, and this product has been pretty amazing at calming that situation down ever since I started using it a few weeks back. It's packed with soothing ingredients like chamomile, hawthorn and peony extracts, and it's clinically-proven to improve the appearance of skin (even for those suffering from rosacea) — and that's good enough for me. TANGERINE AROMATIC CARE // Quite possibly my favourite product of the bunch, this essential oil elixir is, for lack of a better word, magic. 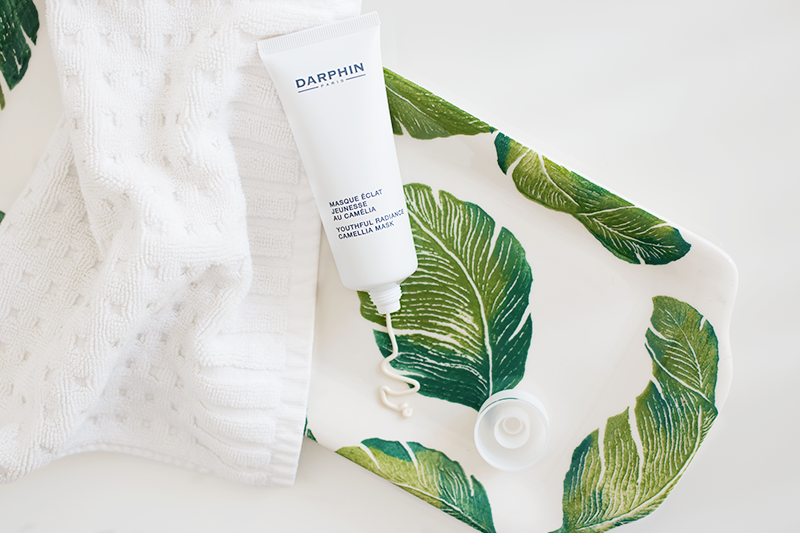 It's formulated to give tired looking skin (*ahem*) radiance and glow while fighting the aging process, and I honestly couldn't think of a more indulgent way to end the day than slathering this stuff on my face, neck and chest. If you can only try one thing from this range, oh please let it be this. 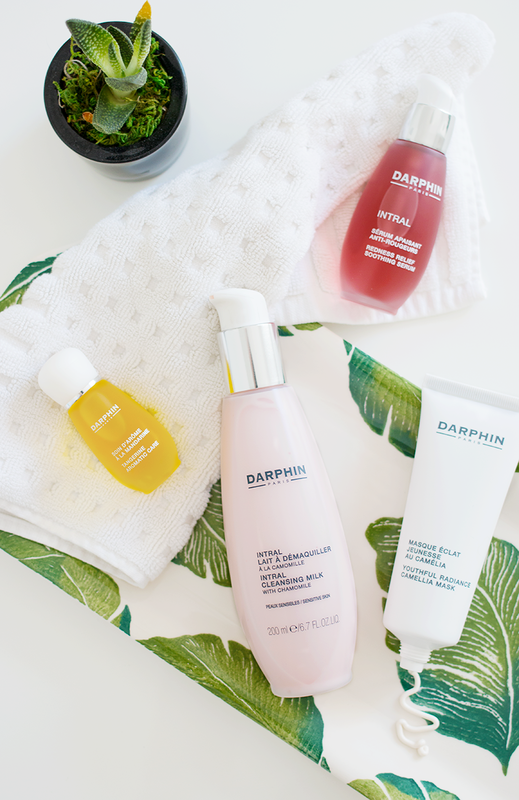 Darphin is beneficial brand. it works great. Aw, Canadian Sephora gets it but it seems U.S Sephora does not :( I'll still be on the look out anyway!